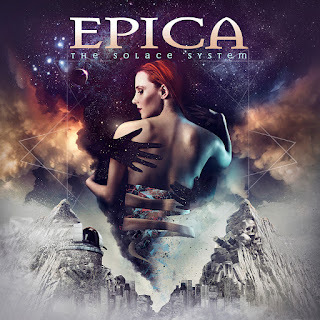 Almost a year after the release of "The Holographic Principle", Epica will be releasing a 6-track EP. "The Solace System" will consist of material written during the writing phase of "The Holographic Principle", when the band realized they had way too much material of quality and didn't want to release a double record. Furthermore, Epica has released the title track of the EP as a single, which you can listen below. "The Solace System" will be released on September 1st via Nuclear Blast.